Harper Lee: gouged by her literary agent? 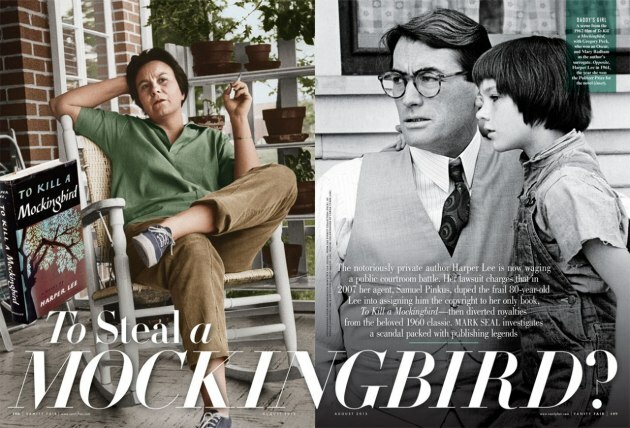 Vanity Fair magazine has a widely cited story about Harper Lee, author of the beloved novel To Kill a Mockingbird. [That link is only to a story about the story; VF is not giving anything away for free.] According to the magazine, Lee may have been cheated out of royalties by her literary agent. Many of the news stories I have read and heard routinely refer to Lee as a “recluse,” although I would say she is somewhere on the spectrum of writers who just don’t want to be bothered. They also routinely refer to her with astonishment as the author of only a single book. That may be overstating it. For one thing, it is impossible to completely rule out the possibility that she has published other things under one or more noms de plume. Also, it should be noted that Lee had a significant role in the creation of another literary classic, In Cold Blood. Truman Capote is credited as the sole author, but the fact was that Lee — a childhood friend of Capote from Alabama — accompanied Capote on his reporting forays in Kansas and served as his note-taker, fixer, amanuensis and god-knows-what-else. Capote never gave her adequate credit, and Lee has declined to claim it. But she deserves it. Wow, I had no idea that Lee helped Truman to write In Cold Blood! That is extremely cool. Also, how can people comment on the fact that she has only ‘written one book’? If I wrote To Kill A Mockingbird I would live the rest of my life in complete serenity, knowing that I had written one of the greatest books of all time. I agree with you about writing “To Kill a Mockingbird.” Most of the people who insinuate that she should have written more will never even come close to that one masterpiece.